Most men and women brush their teeth (at least we hope so). The team at Hereford Dental Health in Monkton urges all our patients to take good care of their teeth, and to see us twice a year for a cleaning and checkup. Too many people brush incorrectly, and don’t realize that poor dental habits may contribute to oral problems. They may pride themselves on their diligence, but frequency does not make up for incorrect methods. One of the most common errors, especially for teens, is rapid, aggressive brushing with a hard bristle toothbrush. There is a certain logic to this method. When you want to clean smooth surfaces like bathroom tiles, you scrub with a hard brush, right? But teeth and gums require a certain finesse. While enamel is durable, the soft tissues in the mouth are not designed for intense scouring. 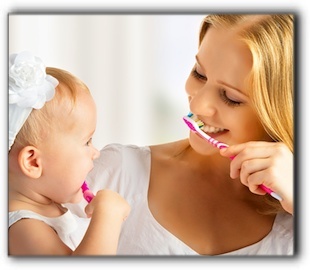 Ask our team at Hereford Dental Health about proper brushing techniques. With a slow, deliberate two minutes twice daily, you can improve your oral health, and reduce the risk of future problems. If you have already damaged your teeth or gums through aggressive or haphazard brushing, it’s essential to give it professional attention. Hereford Dental Health in Monkton provides all your dental health needs, from mercury free fillings to Invisalign clear braces, to general and family dentistry. Call our office today.